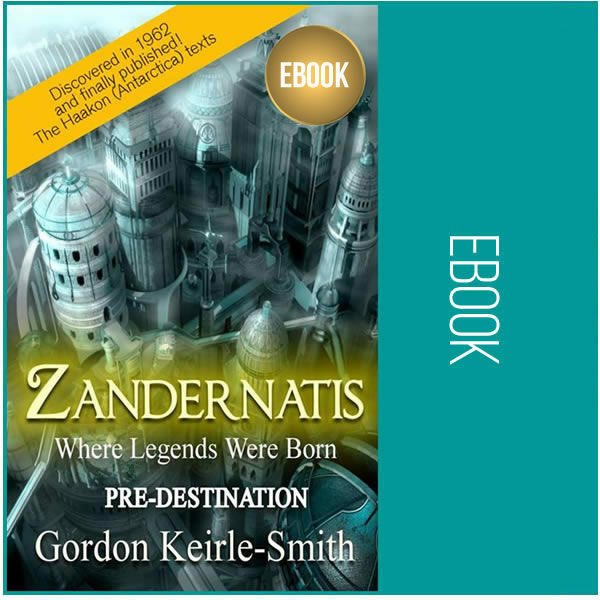 “Zandernatis – Predestination” sets the scene and describes the opening of the most fascinating story contained in these texts: “The Song of Gorin”, an epic poem describing what really led up to the “Fall of Man” in “Paradise”. Initially, it reads like a fable – except that here it is backed by robust corroborative evidence and endorsements from researchers, the media and eminent experts, despite establishment efforts to block publication. Substantial “retold” extracts from the epic “Song of Gorin” – the most revealing narrative discovered among the Haakon Urn writings. 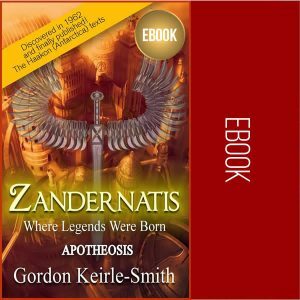 Transcription of a BBC Radio 4 interview with Gordon Keirle-Smith discussing his role in the project. A comprehensive bibliography of all the documents discovered in the Haakon Urns. And all of this in a single work – defining the format of this new genre: the meta-realist allegory. This work puts forward a viable alternative to the Genesis, Garden of Eden, Adam and Eve, Fall of Man myth. 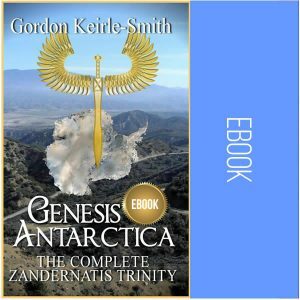 Viability backed by hieroglyphic and archeological research, the deciphering of ancient manuscripts and controversial revelations. The links with aboriginal legends also reveal evidence of migration from Antarctica to Australia and Patagonia as the “great white continent” cooled. Past Life Regression is evoked in connection with this civilization in a search to find subjects with memories of living in an advanced pre-glacial civilization. 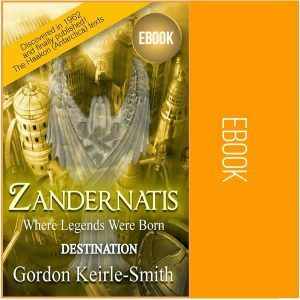 We discover that reincarnation and recollection of previous lives played an important role in Zandernation society. As a result this was the only civilization in the history of the world that did not need religions, Gods, priests, temples or any other places of worship.